Union Bank & Trust Company began serving the Evansville community as Grange Bank in 1897. In 1916, it was acquired by Gertrude Eager and operated by her son, Leonard Eager. Read more about our rich history here. 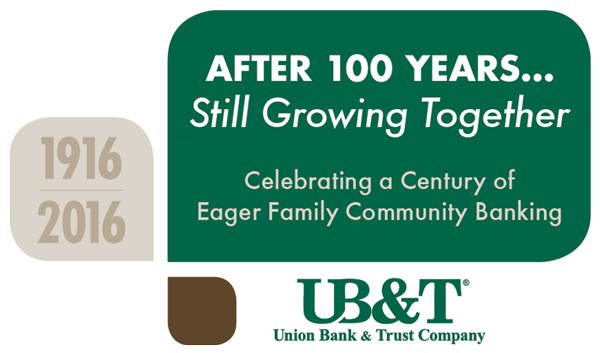 In 2016, we celebrate our centennial anniversary of Eager family community banking. At the same time, we honor the 150th birthday of the place our story began – Evansville, Wisconsin. Today, Union Bank & Trust Company is one of the area’s oldest community banks, now operating offices in six southern Wisconsin cities. Most of our staff was raised in the area, so it’s no wonder we know our customers by name!